One of the most versatile talents of the modern art movement in Germany, the American-born Lyonel Feininger (1871–1956) is celebrated as a master of caricature, figurative painting, and a distinctive brand of cubism. He worked with fluency in oil, watercolor, and woodcut, but he also created a fascinating body of photographic work that is virtually unknown. 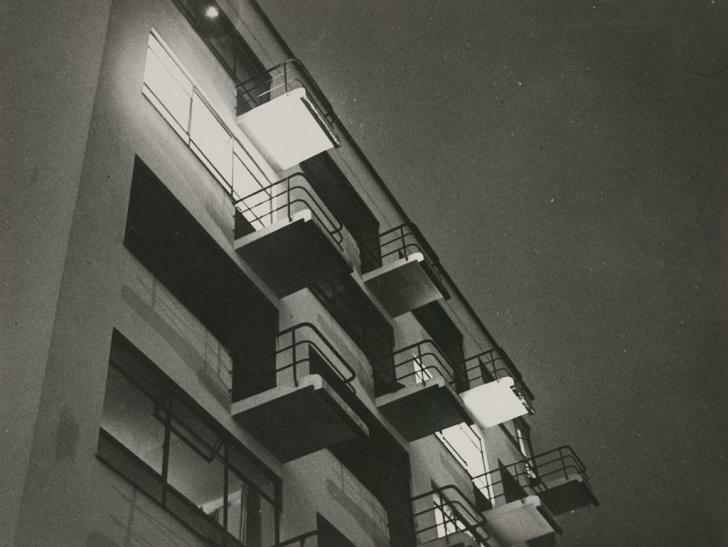 Although he made photographs as early as 1905, he did not take up the camera with serious artistic intent until 1928, when he was serving as a master at the Bauhaus, the influential German school of art and design founded by the architect Walter Gropius in 1919. Photography quickly became an important part of his artistic life, and it remained so for the next two-and-a-half decades. The majority of Feininger’s surviving photographs (some five hundred vintage prints) are in the collection of Harvard’s Houghton Library, and his negatives and slides are part of the Harvard Art Museums’ extensive Lyonel Feininger Archive in the Busch-Reisinger Museum. Comprising approximately eighteen thousand objects, from early family snapshots to Feininger’s color-slide work of the 1940s and ’50s, this collection provides a comprehensive view of the artist’s extended engagement with photography. This website allows visitors to search the photographic collections of the Lyonel Feininger Archive using the search box and filters below. It also provides a chronology, a bibliography, and short descriptive summaries of his many photographic subjects, over a period of fifty years. Each summary is accompanied by a selection of representative images. The paintings, drawings, prints, sketches, and comic strips in the Lyonel Feininger Archive may be viewed by returning to the Harvard Art Museums’ Browse Our Collections page and conducting a general keyword search for “Feininger,” or a more refined search using one of several available search filters.